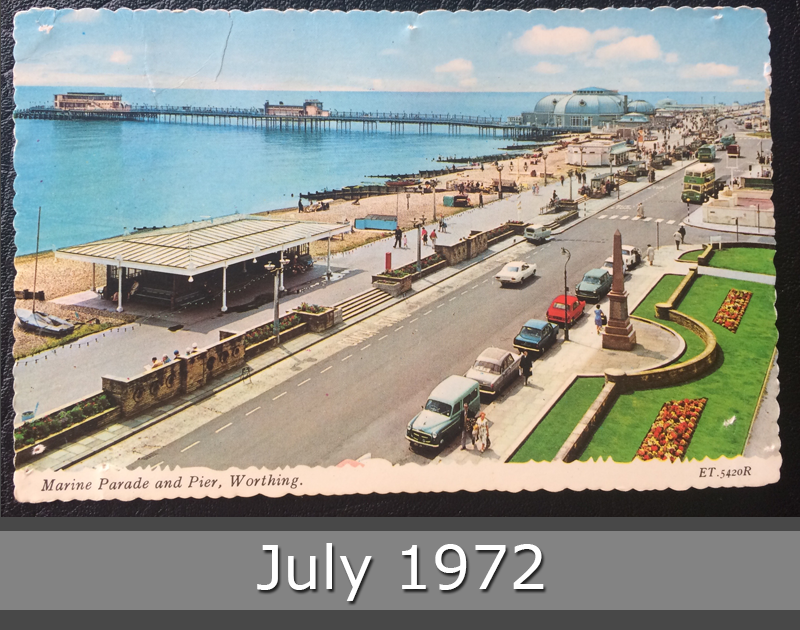 Greetings from Worthing from year 1972. I like the way the card is made. The colors, these old cars. 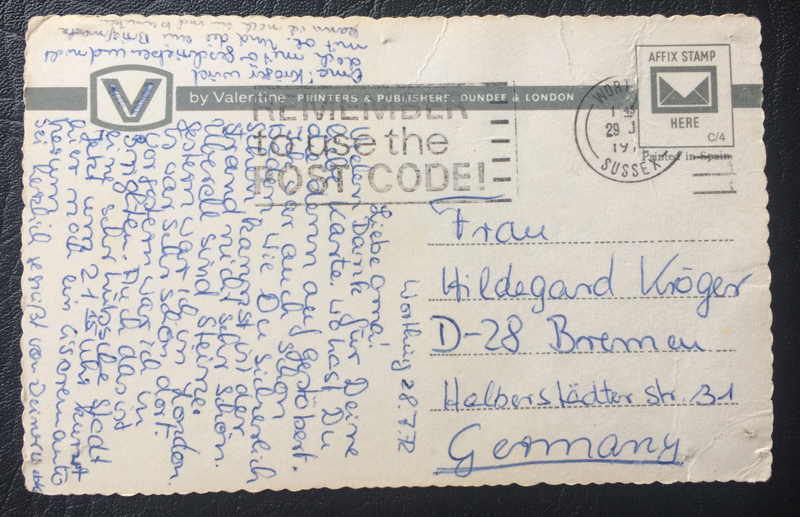 This postcard goes to Bremen in Germany, stamped in Worthing/Sussex.